News of the fire this summer, very upsetting for those of us who care about the fate of the Hall! A 'SUBSTANTIAL' fire at Firbeck Hall shocked and distressed members of the recently-formed friends group. Temporary roof repairs have been carried out after the blaze last Friday, but the setback has not affected interest in the building and grounds. 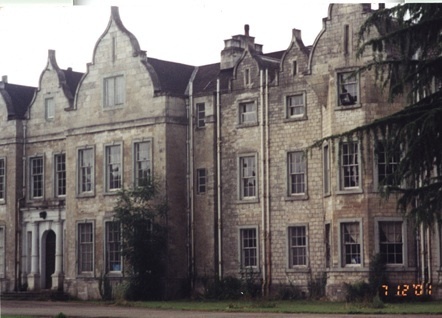 Friends of Firbeck Hall committee member Sid Ellis said: "This calamity has come at a time when we are achieving some early progress in our campaign to save Firbeck Hall." "Early indications seem to show that the fire was contained and the damage restricted to a relatively small area of the roof." "However, we would certainly welcome an early and thorough investigation into the cause, together with a clear understanding of the true extent of the damage." "We recognise that the fire is a setback, however the incident only serves to underline the vulnerability of Firbeck Hall and thereby encourages greater determination in our efforts to preserve it." There are now more than 160 Friends - double the number when the group started in April. Membership costs £1 a year. For further information, call 01909 732191 or email fofhmembers@aol.com. "Report courtesy of the Worksop Guardian", the newspaper link is: www.worksopguardian.co.uk.